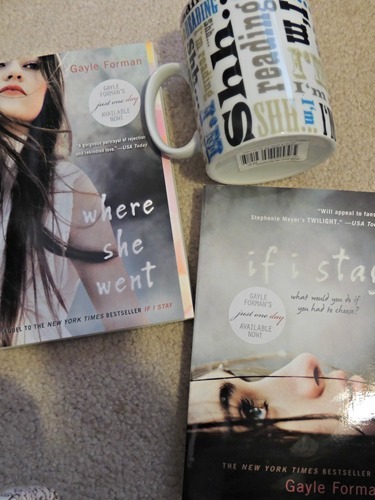 This week I have one book to share, and a swap to reveal! I won this book in a giveaway at Shoshannah’s site and was excited to read it this past week. “Maggie is unaware of the terrifying fate that awaits her. It isn’t until she lands in New Orleans for a full year at a private high school and her unknown enemies find her does she realize that her life is in danger. As a mystifying stranger repeatedly intervenes and blocks the attempts on her life, she begins to learn that there is more to him than his need to protect her and that he may be the key to understanding why her enemies have just now arrived.” Please note: The Amazon description of this book is correct, but all the reviews are about a different book called Fallen! In any case, this was an interesting book and I can’t say I’ve ever read anything like it before, although it definitely reminded me of Twilight. The story lines are not the same but the main characters remind me of each other. Maggie, the girl in this book, was surprisingly slow in figuring out what was going on, coming off as almost ditzy at times, when I as the reader was ahead of her in thought process. On the other hand, the unique roles of the characters made this story entertaining and kept me interested, although at times I was confused by the new ideas – such as the Fallen – which could have been described more fully. I also would have liked to have known more about the past and how the characters became who they are now. The latest swap I participated in was Jen and Mallory’s Sip, Read, Swap, in which we were meant to send each other books and coffee – 2 of my favorites! I was partnered with Jennifer and here is what she sent me! 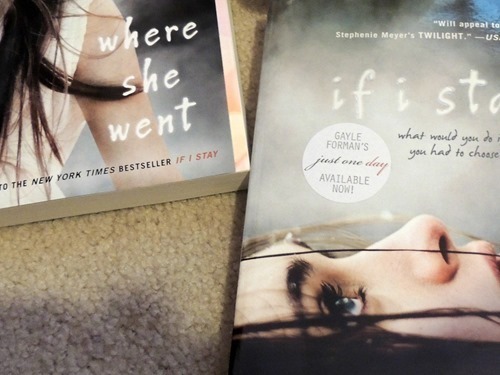 I am currently reading If I Stay and enjoying it greatly! Review to follow soon! Thanks Jennifer! Remember all of those special moments of the last year? (your child graduating and moving onto a new school, your kids first soccer season or school field trip!) Now, you can remember them forever by creating a Blurb School Book! The best part about Blurb School Books is they are easy to create and a great fundraising tool for your school or class… Use the code MYSCHOOLBOOK to receive your 15% discount on Blurb School and Yearbooks until 5/31/2013. Next Post Tiny Prints Gifts and Giveaway!